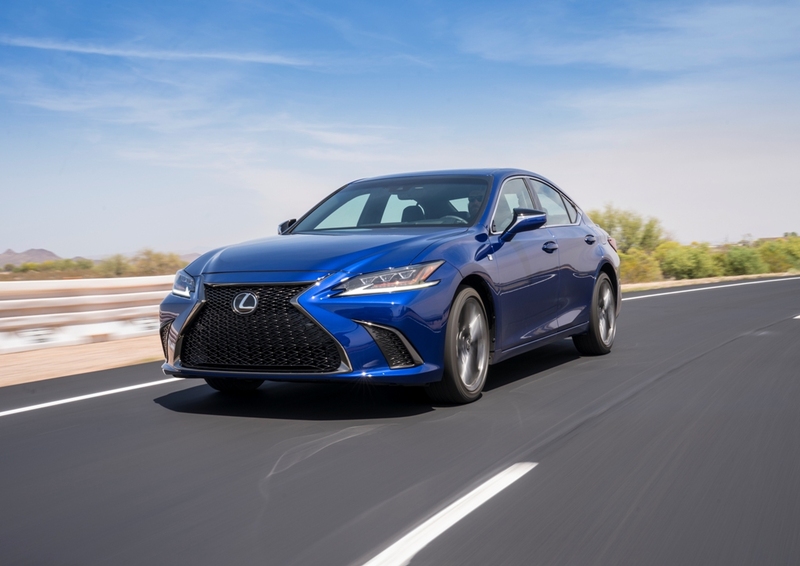 Back in April, Lexus unveiled the 2019 ES sedan, a complete redesign for the model that brings it into its seventh generation. As we inch closer to the ES going on sale in September, Lexus has revealed the pricing and EPA fuel efficiency estimates. With pricing, starting MSRP goes up for some models and down for others. The base ES 350 model is coming in at $39,500, which is a bump of $550 over the last model year. On the other hand, the hybrid ES 300h model is starting at $41,310, a decrease of $510 from last year. Filling out the lineup is a new ES 350 F SPORT, with a base price of $44,035. For fuel efficiency, the base ES gets better numbers than last year despite delivering more power. The 2019 ES 350’s updated 3.5-liter V6 engine makes 302 horsepower and 267 lb-ft of torque while delivering an EPA-estimated 22 mpg city, 33 mpg highway, and 26 mpg combined. That accounts for an improvement of 2 mpg combined over last year with an increase of 34 horsepower and 19 lb-ft of torque. When upgraded to the F SPORT model, the official EPA rating is 22 mpg city, 31 mpg highway, and 25 mpg combined. Want the New ES for Yourself? Should you buy it or lease it? The most impressive fuel efficiency in the lineup, though, unsurprisingly goes to the hybrid. The 2019 ES 300h confidently claims the title of most fuel-efficient luxury vehicle without a plug, delivering 43 mpg city, 45 mpg highway, and 44 mpg combined. The 2019 Lexus ES is coming to the nation’s dealership lots starting in September with an extensive list of updates.